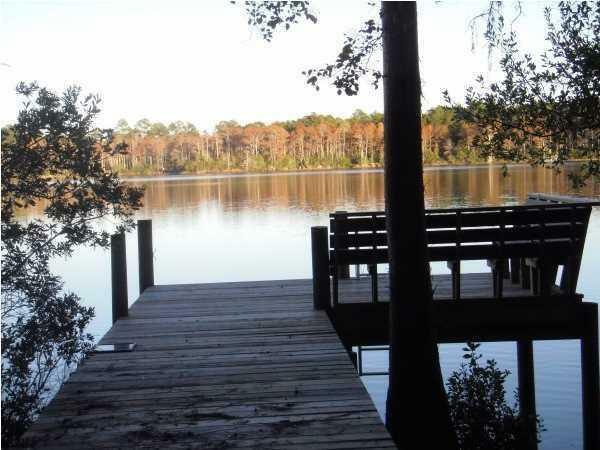 2 Beautiful lakefront lots (180 WF feet) on private lake with dock already on property. If you are looking for a place to build your dream home and enjoy quiet country living at it's very best, this is the place for you! These two lakefront lots (lots 18 & 19 Blue Cypress S/D) have been partially cleared and a quality dock built on property in 2011. This is a private, apx. 50 acre spring fed lake with no mobile homes allowed (covenants & restrictions apply; Only $50/lot per year). You will see no stumps in this lake!! With 186' of lakefront you will have plenty of room to enjoy your new or future home site and enjoy some great fishing and even swimming in the meantime (no gas engine boats). Come see these beautiful lots today! !